GJ.1, entire letter sent to Goya datelined PAGO LARGO 23/AU/1865, franked with nice copy type 5 with notable pen cancel, VF quality. 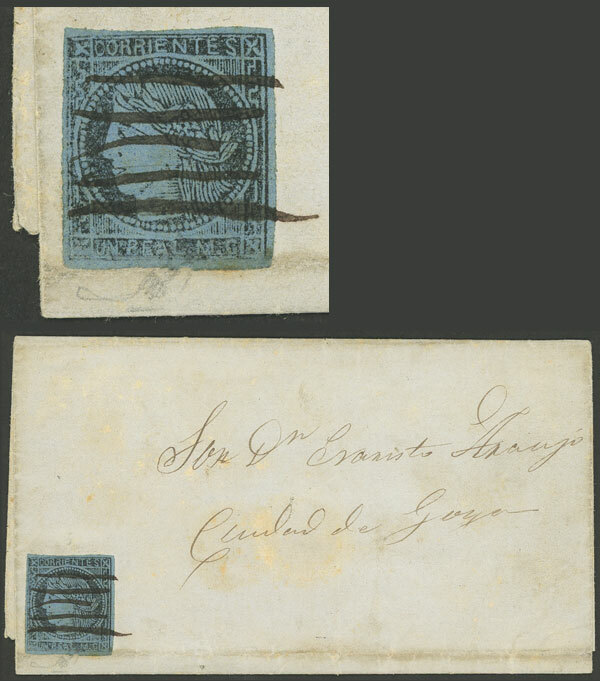 Entire or folded covers of the Province of Corrientes in which the origin and date of use can be reliably verified are rare. Signed by Kneitschel! Lot 12 - Argentina corrientes - Guillermo Jalil - Philatino Auction # 1906 ARGENTINA: small February auction with very interesting lots! Lot 20 - Argentina corrientes - Guillermo Jalil - Philatino Auction # 1906 ARGENTINA: small February auction with very interesting lots!